1) Expatriate and Chinese will be accomodated seperately. 3) Please indicate your gender for bed/dorm reservation if you are a Chinese. 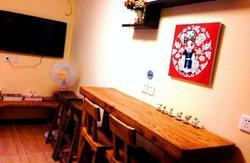 A lovely combination of traditional and modern decorations, Drum Tower Hostel is located at a Hutong neighborhood, in a bustling central location. 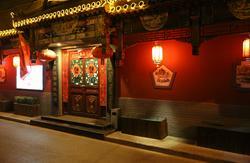 We are proudly to claim that our location is among the best in Beijing. Besides with easy access to subway station and bus stops, our hostel is also very near to many famous places of interest you definitely would love to visit during your stay here. Almost all famous places in Beijing are either within walking distance, or are really easy to reach through direct transportation methods such as subway and bus. It takes 5 minutes to reach the nearest subway station, the prestigious Bell Tower and the Drum Tower by walking;about 10 minutes to reach the Imperial College, Yonghe Lama Temple,Hou Hai Bar Street, Beihai Park, Forbidden City and Jingshan Park by bike; about 20 minutes to Forbidden City, Tiananmen Square by subway. 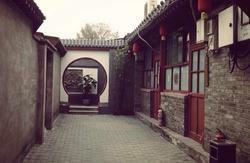 For your convenience, our staff can help you arrange tours in Beijing as well as nearby attractions. If you are interested in the Great Wall, Acrobatics and Kungfu shows, we have special day/overnight trips plus vans and English tour guides. If you want to visit places outside of Beijing, we can book you train/plane tickets with delivery service. We are also very familiar with various places for fun and food. Feel free to talk to us if you are interested in ANYTHING. We endeavor to provide you with safe, healthy and comfortable accommodation together with a cheerful atmosphere of communication.Both rooms with and without private facilities are available at Drum Tower Hostel. For private rooms, bathroom, air-conditioner and TV are equipped. Shared dorm rooms are air conditioned as well. You can put your valuables in secured lockers or the safer in the lobby. Additionally, you have access to 24-hour hot water and reception service. Because the hostel is located in a traditional Hutong where many Beijing natives still reside, you will come across many delicious restaurants and find out some intriguing moments of how Beijingers live and eat. On JiuGuLouDaJie, where our hostel lies, you can taste really good dumplings and noodles, Peking roast duck, cafe bar, tea house and grocery stores with our favorite old Beijing Yoghurt. 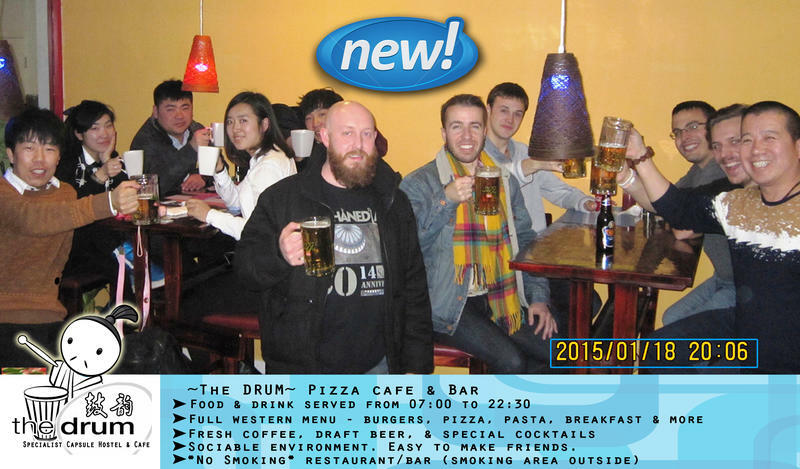 Your having a great time at Drum Tower Hostel is our highest concern. In order to achieve this aim, we really appreciate that you can leave your ideas and comments to our staff, so that we can make specific correction and improvements. We have met many people who regard DrumTower Hostel as their home abroad and spend so much wonderful time together with us, and we sincerely hope that Drum Tower Hostel canbecome your home, too. Please take the airport expressway to DongZhiMen, and then change to Subway Line No.2 at Dongzhimen Station and get off at the GuLouDaJiestation. After exiting from exit B, head south for 300m and you'll find Drum Tower Hostel. Please take subway line No.2 (circle line) from Beijing train stationto the GuLouDaJie station, from exit 'B' to head south for a300-meter-walk. There are many bus lines around hostel, which includes 5,44,60,82,107,204,380,721,800,809,820,839,834,909. Our staff will show you the best bus line to find anywhere easily. The Drum Tower Youth Hostel is situated on the Bei ErHuan road, in a bustling central location, close to all public amenities and it is also with walking distance of Bell Tower, Drum Tower, DiTan Park. It will take about 20 minutes to TianAnMen Square by subway, about 10 minutes to Bei Hai Park, Hou Hai bar street, the Palace Museum, JingShan park and Yong He Lamasery by bicycle.